Coming from Ashdene’s My Metallics collection – featuring stylish and captivated metallic gold prints – the Ashdene My Metallics Festive Type Mug is hard not to love. 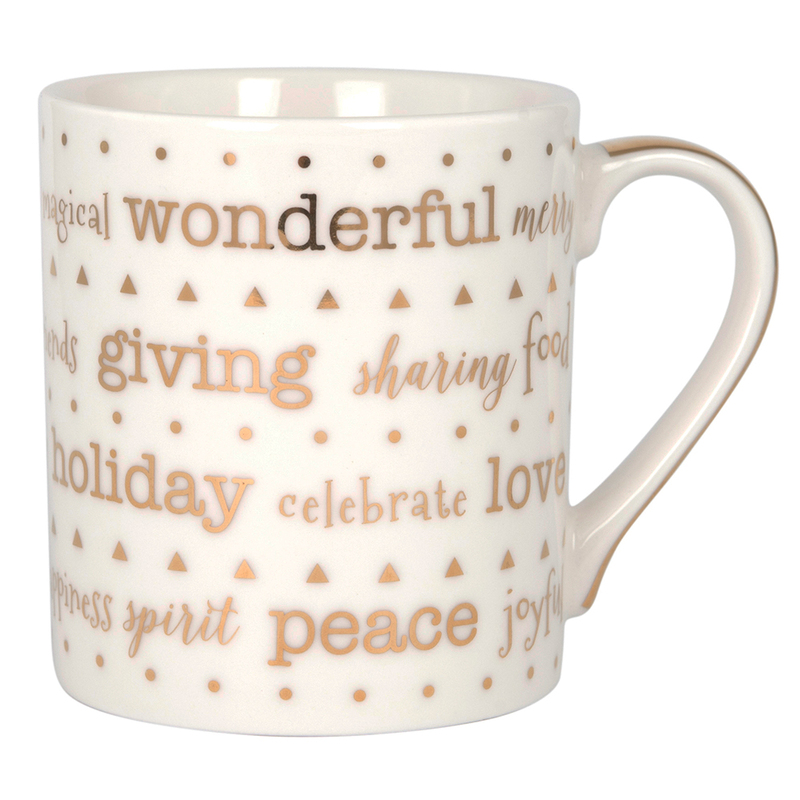 Featuring a delightful Christmas word print, this mug is the perfect way to get yourself in the festive spirit. Made from fine bone china, you can feel assured that this mug is high quality.